Every year, the holiday season sneaks up on us. All of a sudden, holiday mode is on and in full effect. Radio stations blast our favorite Christmas jams, stores advertise deals and discounts, and everyone runs to pick out the perfect tree. Nothing says “It’s Christmas!” like the smell of fresh evergreen. 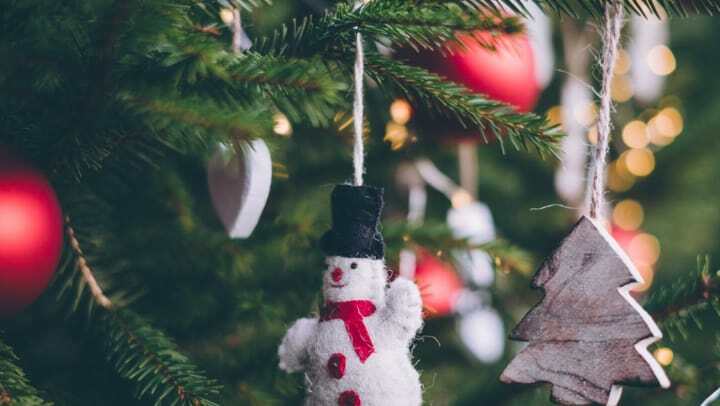 We’ve put together some of our best tips and tricks for choosing, decorating, caring for, and disposing of your beloved holiday tree. Picking out your Christmas tree is a pretty big deal. There are so many different kinds to choose from, so it’s important to figure out what traits you are looking for...height, shape, color, and overall personality are a few that we came up with. While you’re doing this, be sure to consider how much space you have in your home. What kind of look are you going for? Big and bold? Pretty and petite? Short and scrappy? Once you’ve decided on the look, find a trusted tree farm near you. Depending on the farm you choose, be sure to bring some tools along. Although they’re usually provided, it’s a good idea to bring a tape measure and saw, just in case. Once you’re there, test the freshness of the tree you’re interested in by bending the needles; if it bends, keep looking. If it snaps, it’s ready for picking! First and foremost, we all know that lights are the most quintessential part of a Christmas tree. Before you rush into tinsel and toppers, choose your classic white, colored, or multicolored lights. When stringing the strand, be sure to wrap it around the entire branch to ensure a fully-lit tree. Next up, add your garland or tinsel (if you’re into that sort of thing). Be sure to spread it evenly around the tree, maintaining an equal distance between each layer. Fill in the gaps with ornaments until the tree looks full! You can never go wrong with classic ball ornaments, but it’s fun and personable to throw in some of your fondest family favorites as well. Lastly, pull out your ladder or step-stool and place your tree topper on for the final touch. Nothing says a job well done like the cherry on top! When placing the tree in your home, try your best to keep it out of direct sunlight and away from vents. This will keep your tree as fresh as possible through the entire holiday season. Once you find the perfect spot, cut a couple more inches off of the trunk (this reopens the pores so that it will absorb water), and get it in water ASAP. It’s been a good run, but it’s time to kiss your dry pine goodbye. First, remove all decorations from the tree and pack them up for next year. Check to see if your city or local recycling center offers curbside Christmas tree pick up services after the holidays. If that’s not an option, check for local non-profits or fire stations that are accepting tree donations. We do not recommend chopping up your tree and throwing it in the trash, as dry pine needles are highly flammable. Now, get out there and select your seasonal sapling! The perfect one is waiting...just for you.